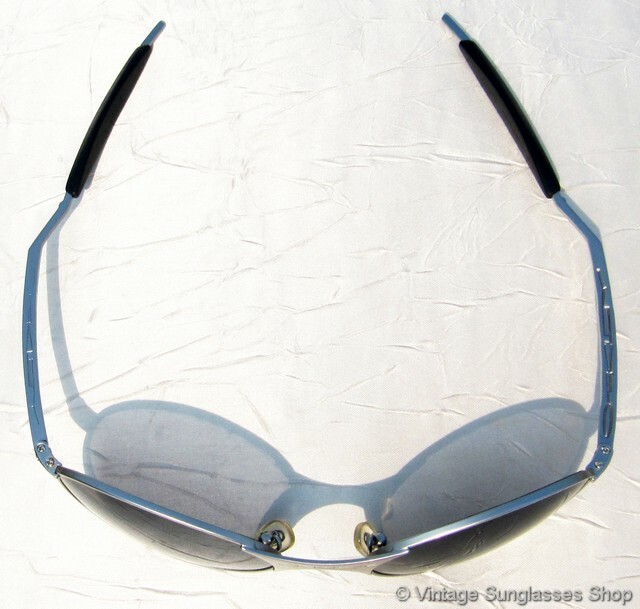 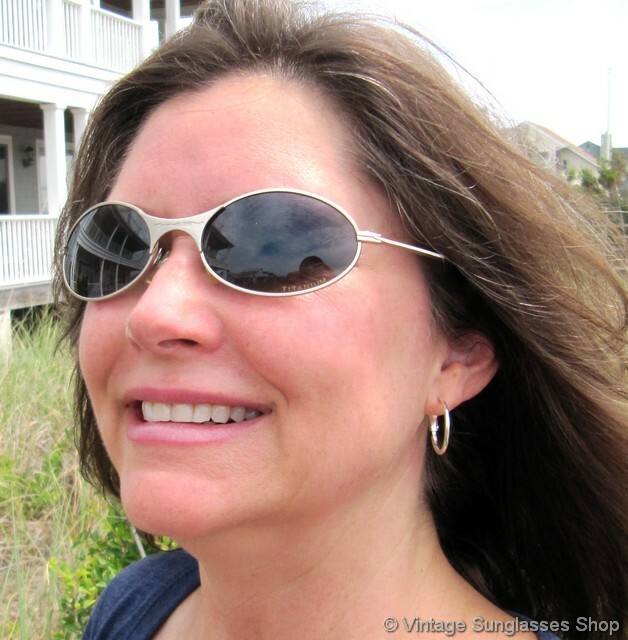 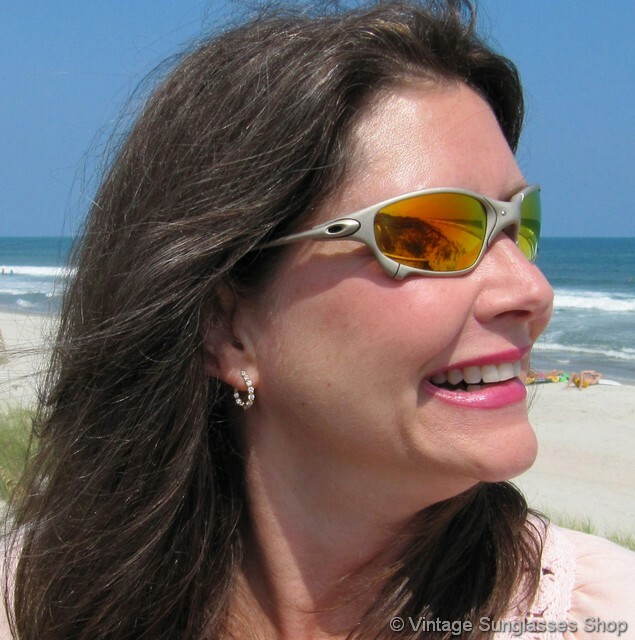 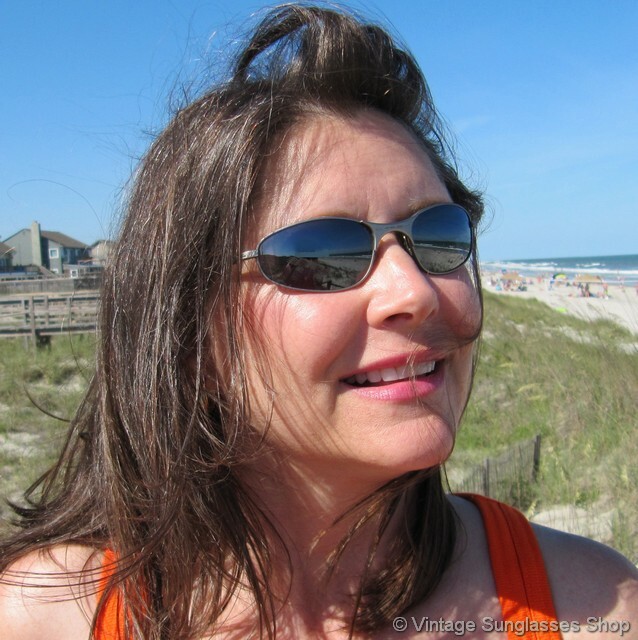 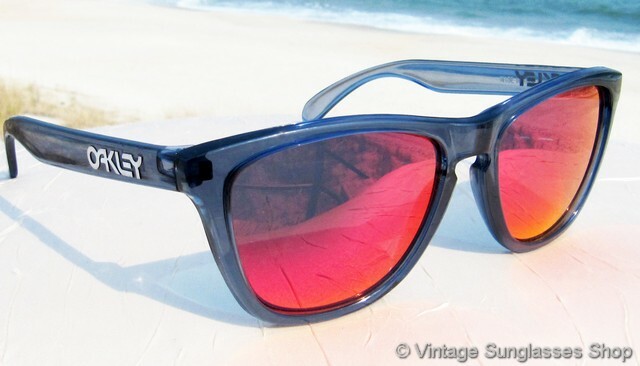 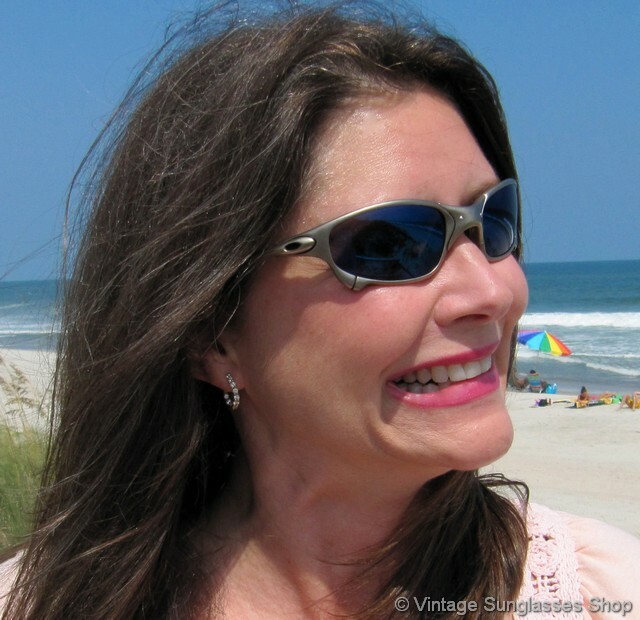 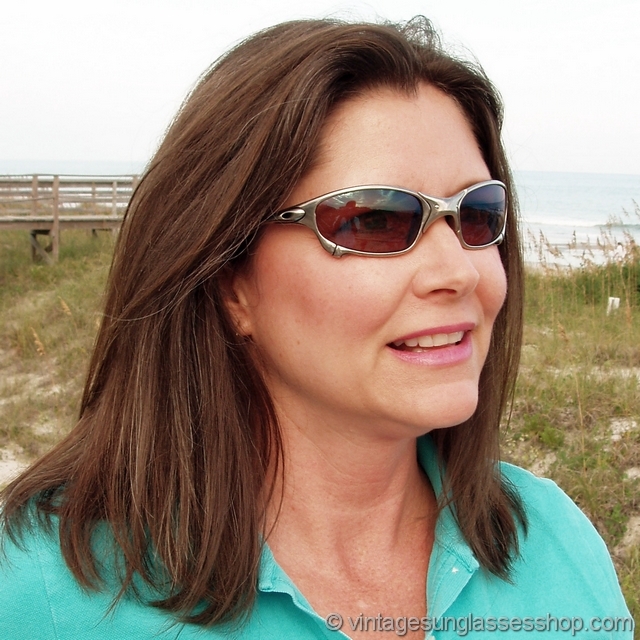 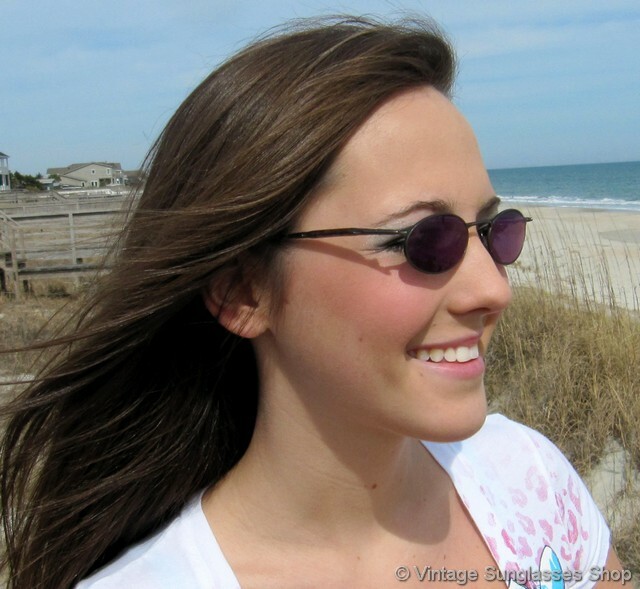 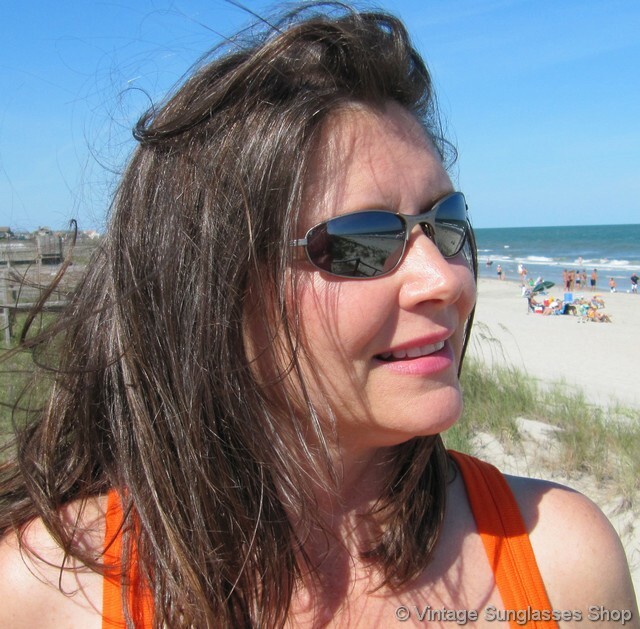 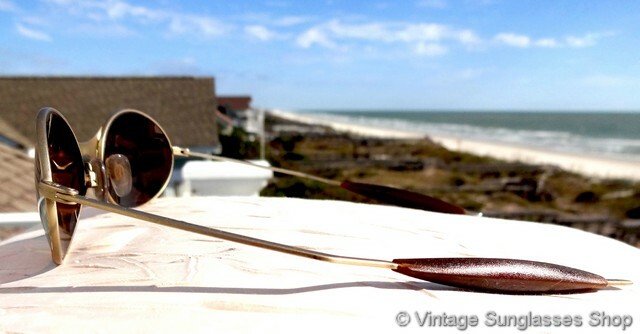 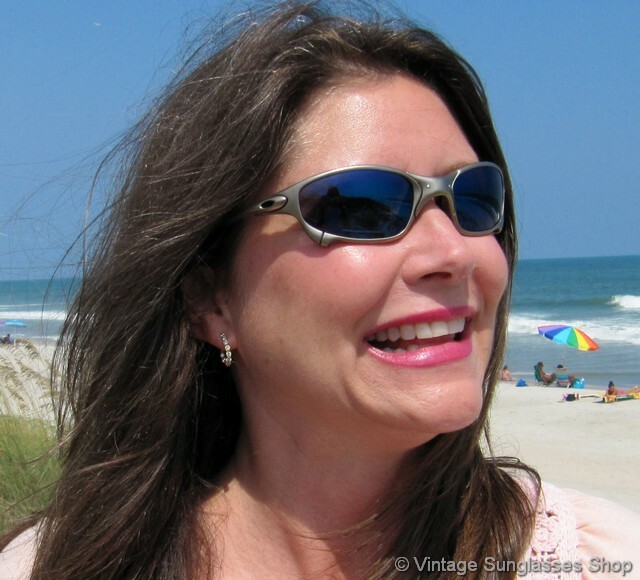 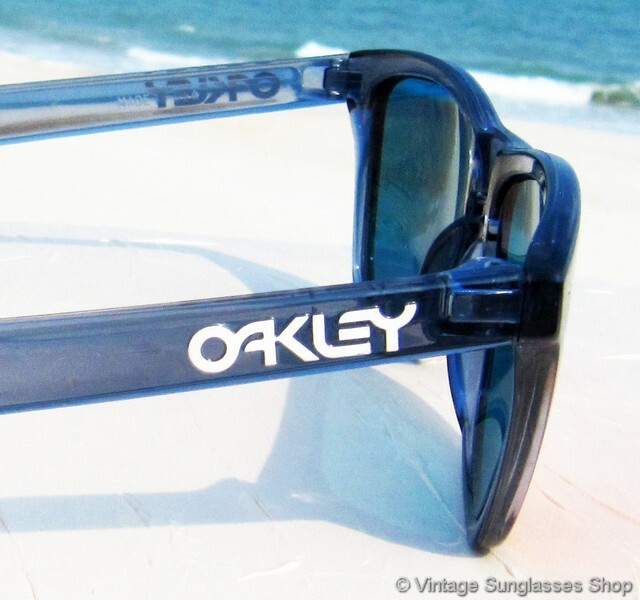 Vintage Designer Sunglasses only sells authentic vintage Oakley sunglasses for men and women produced in the 1970s, 1980's and 1990's - no fakes, reproductions, or retro style sunglasses. 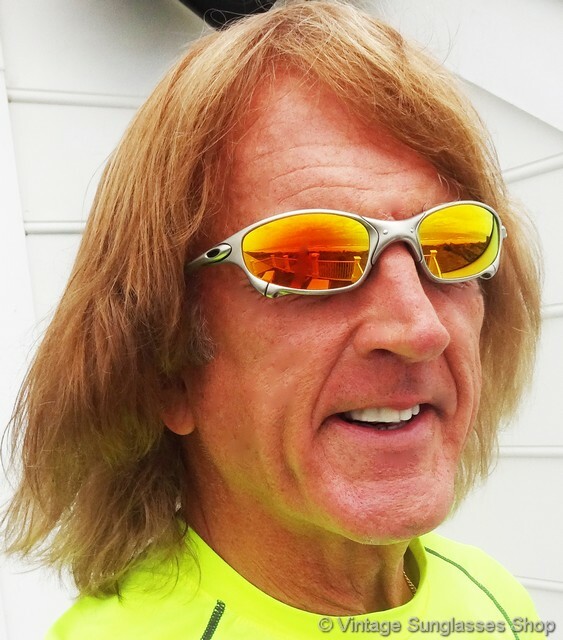 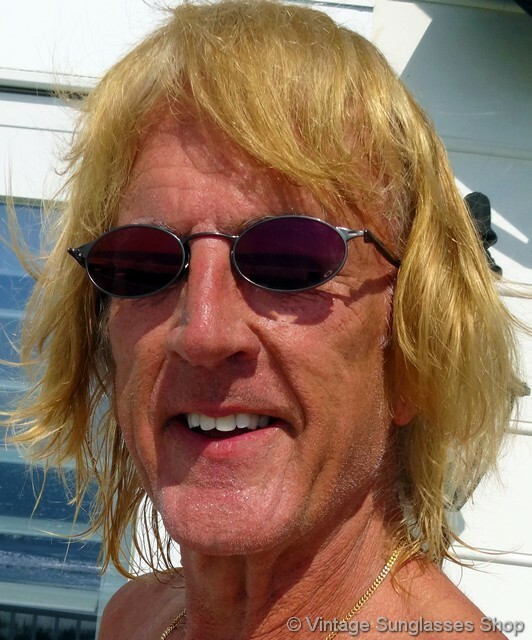 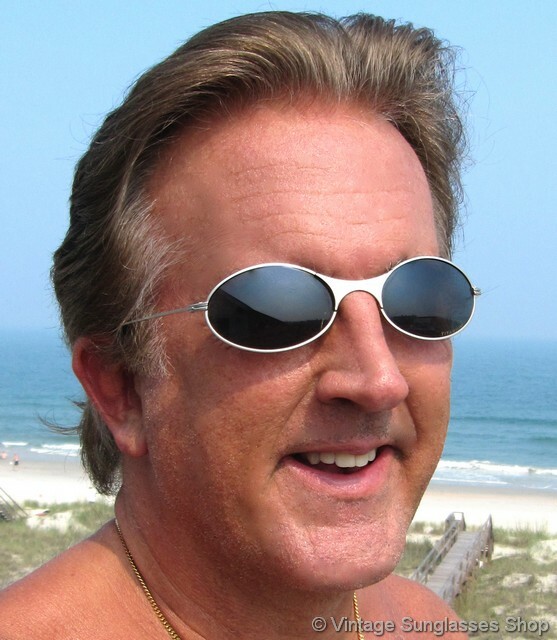 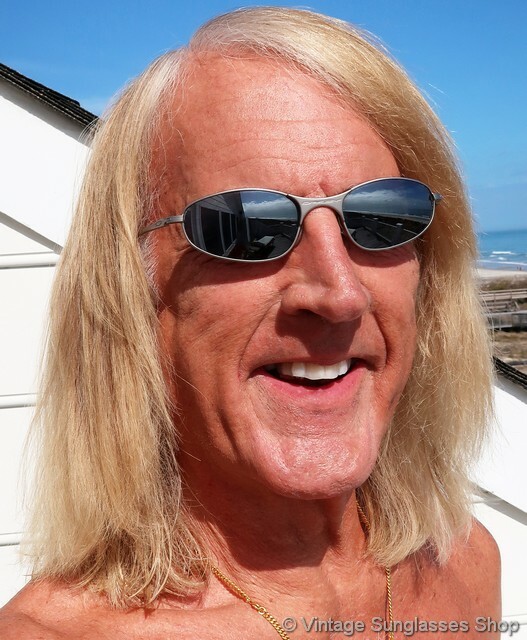 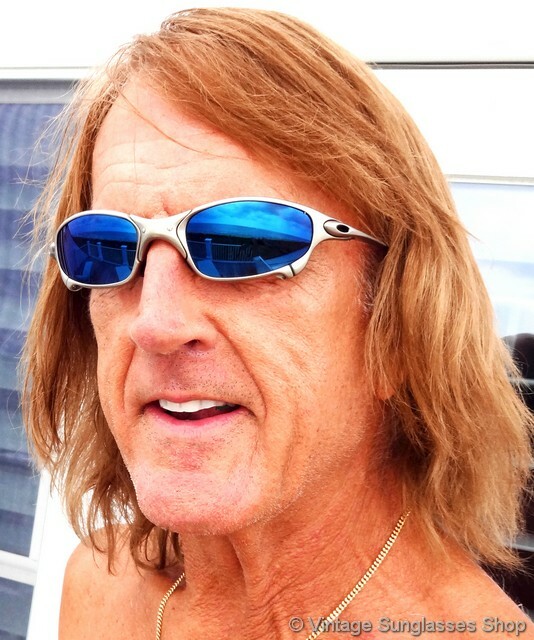 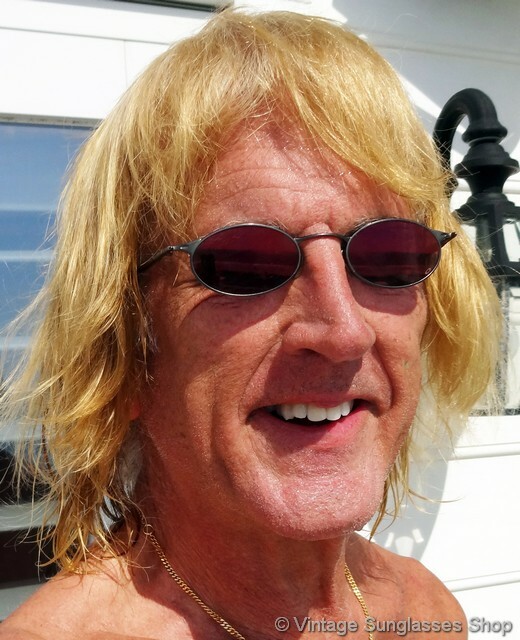 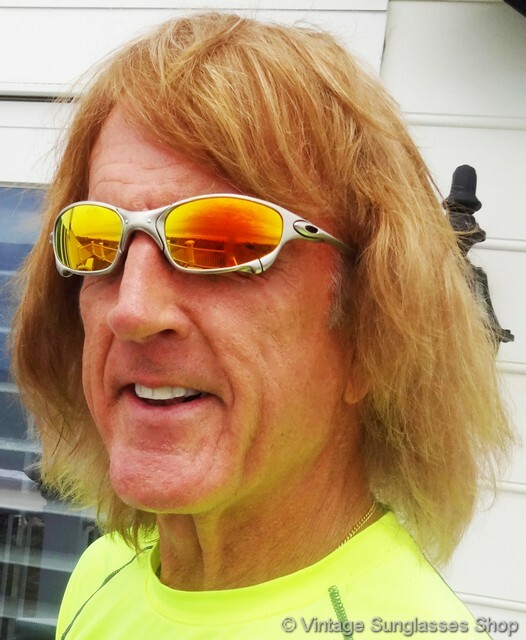 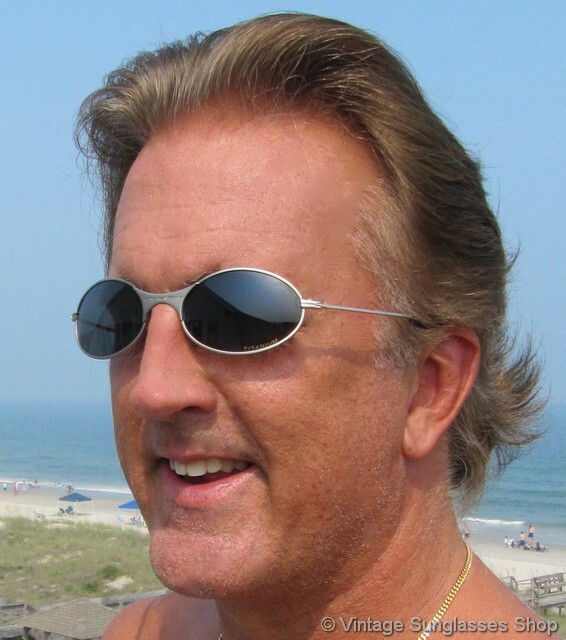 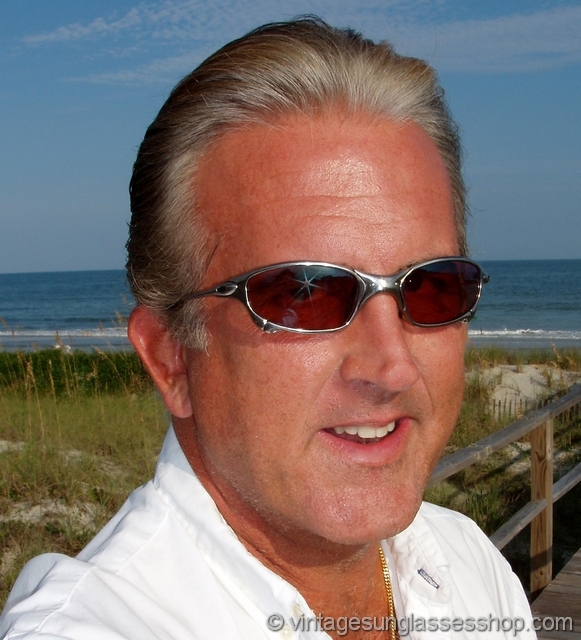 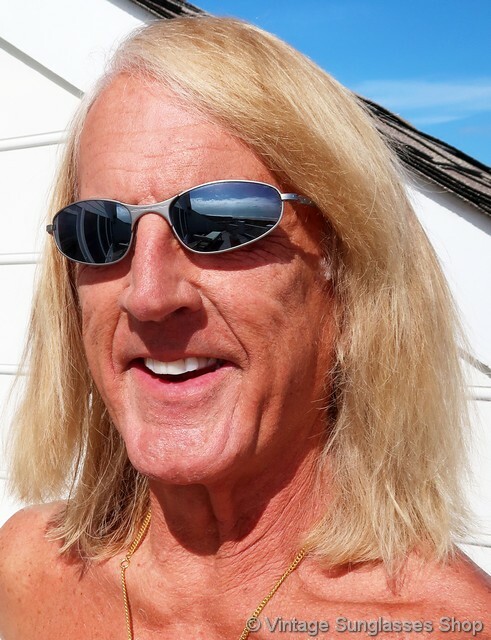 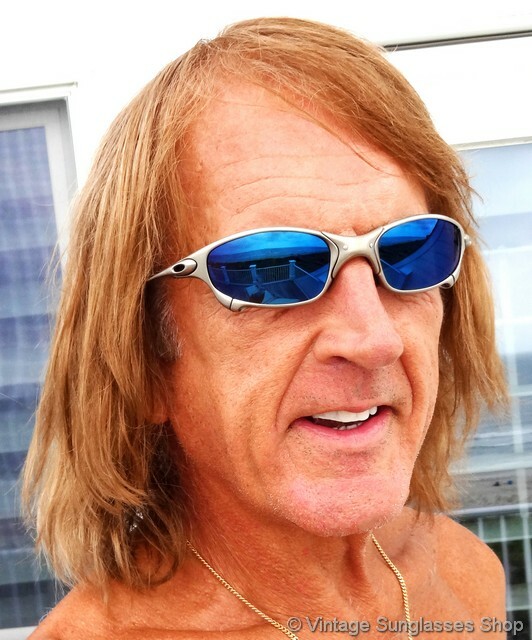 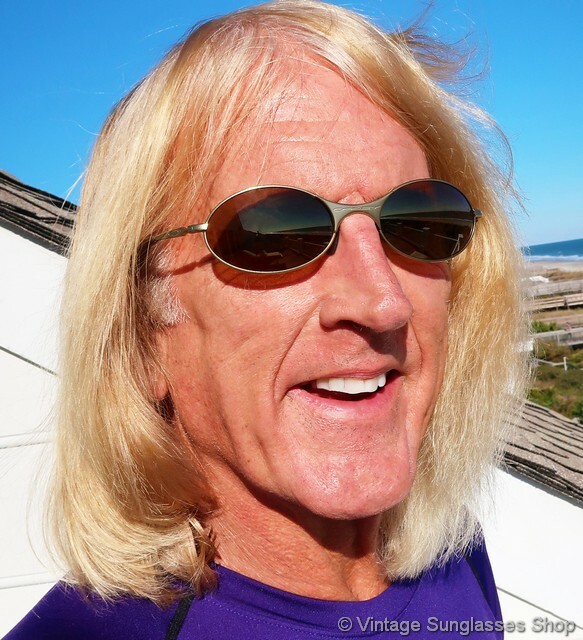 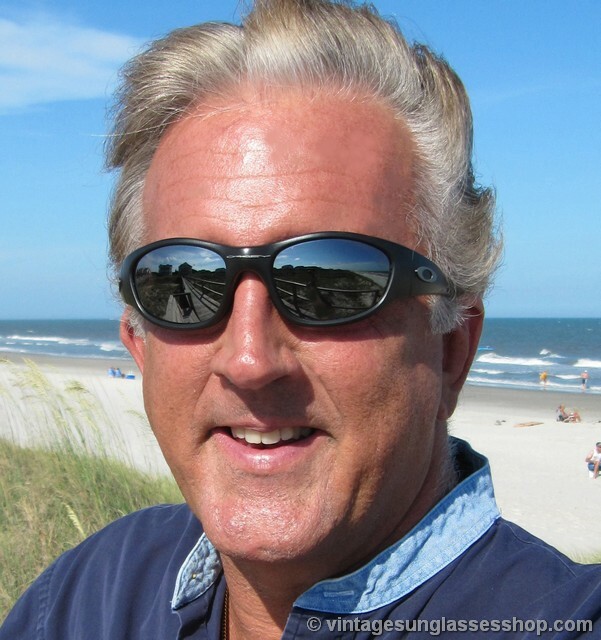 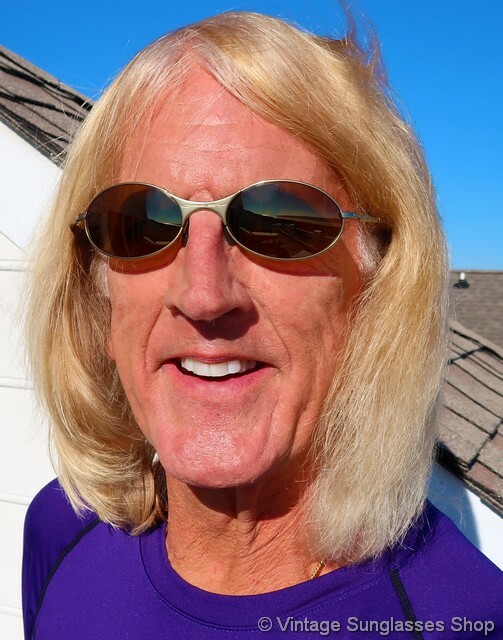 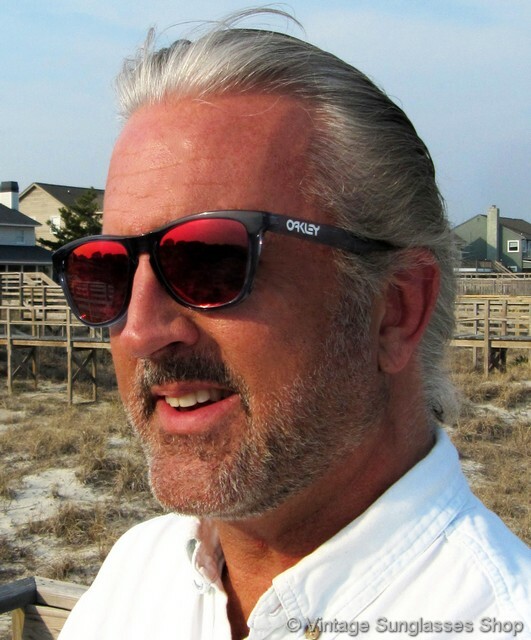 Oakley founder Jim Jannard began by designing unique motorcycle goggles made of high-impact plastic that was lighter and stronger than the glass goggles then in use. 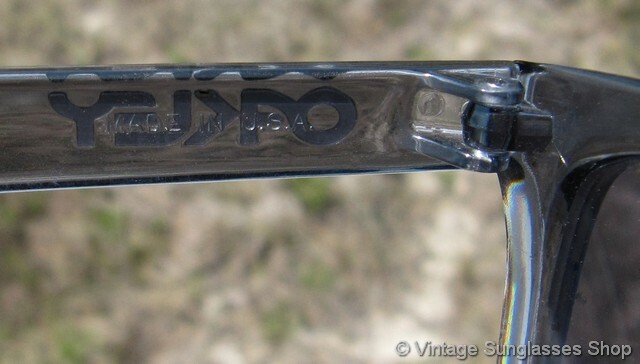 As their popularity grew, Jannard began developing eyewear that was part goggles and part sunglasses for skiers and bicyclists. 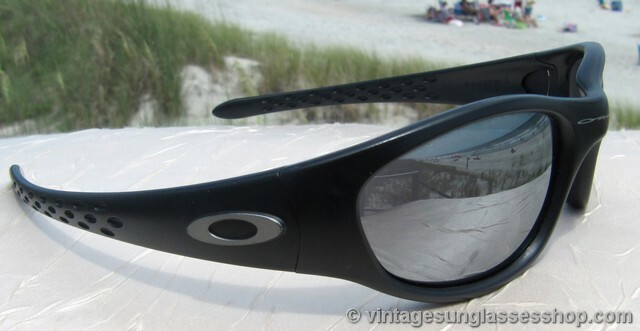 This of course gave rise to the easily identifiable Oakley wrap sunglasses worn by sports enthusiasts both casual and professional. 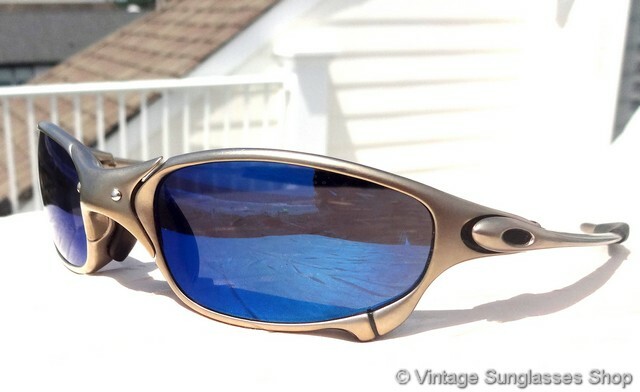 You'll find a select number of the finest vintage Oakley sunglasses at Vintage Designer Sunglasses including famous Oakley Juliet sunglasses in x-metal and Ice Iridium lenses. 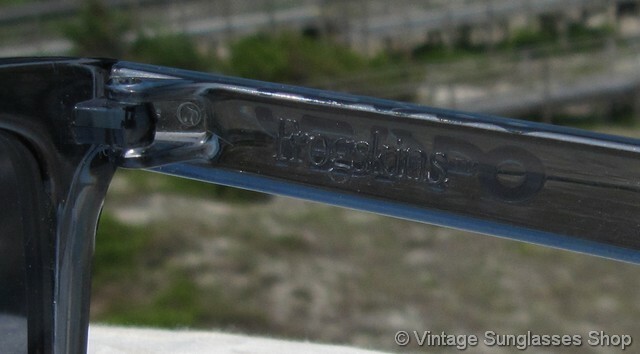 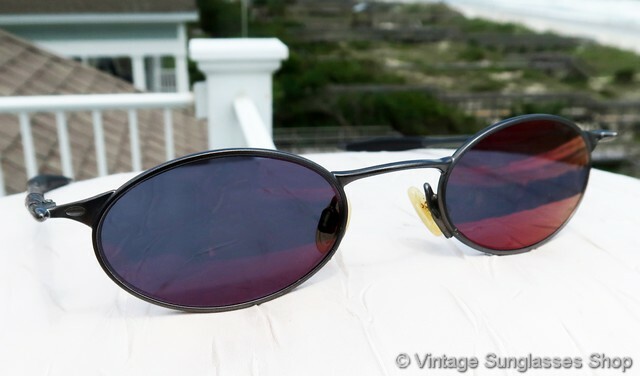 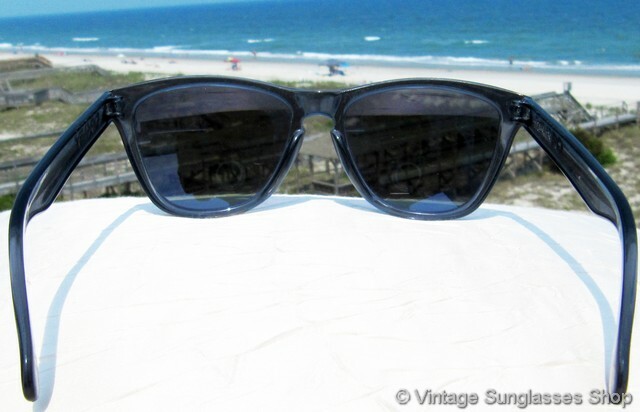 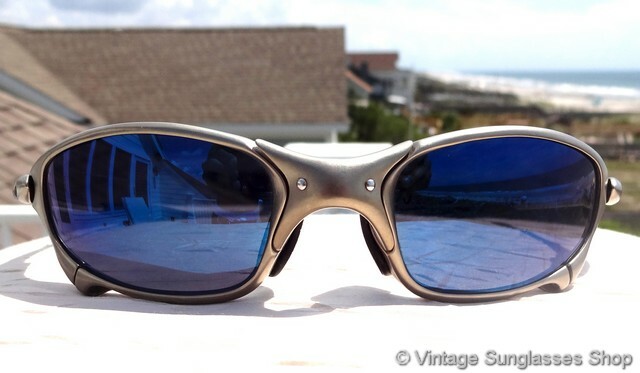 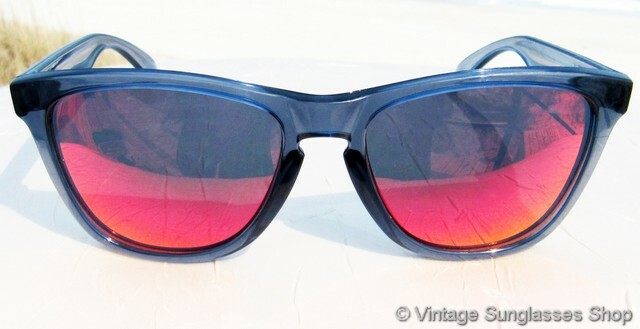 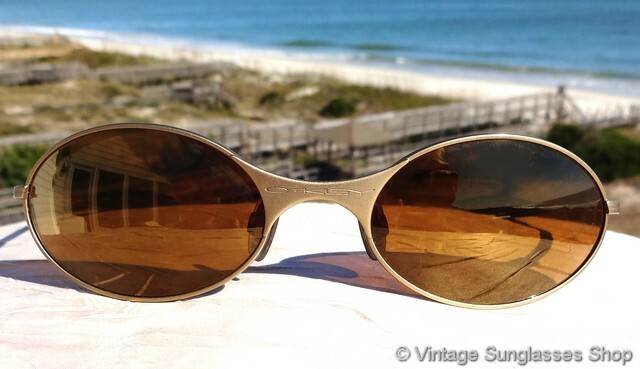 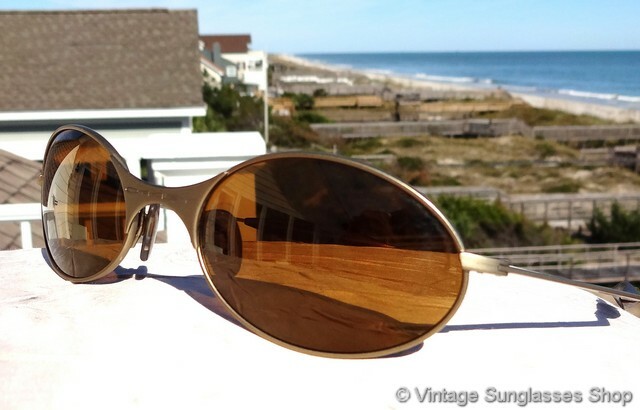 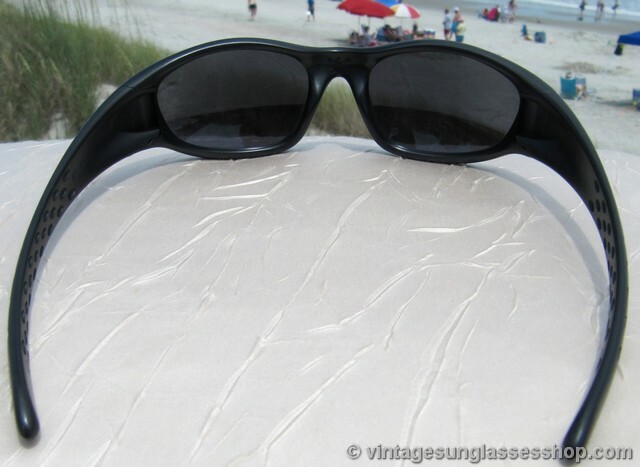 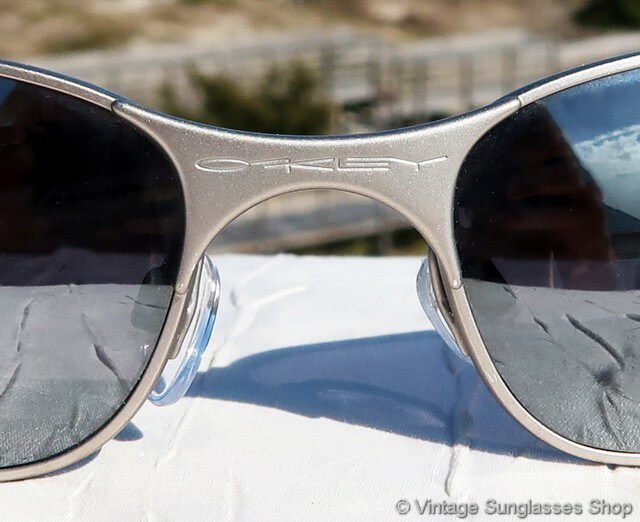 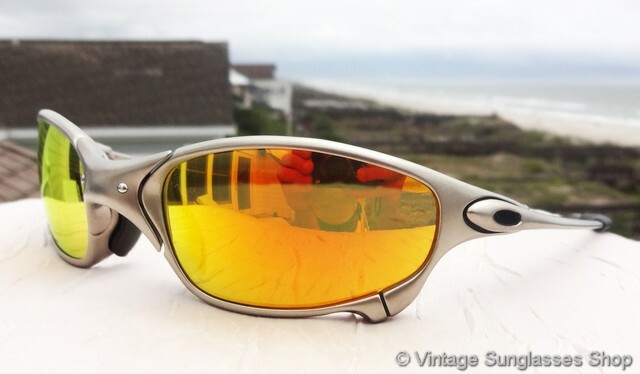 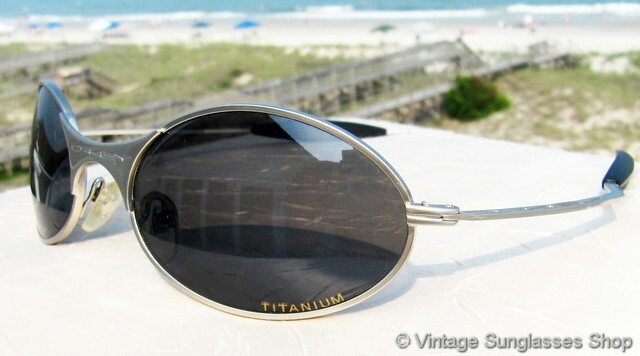 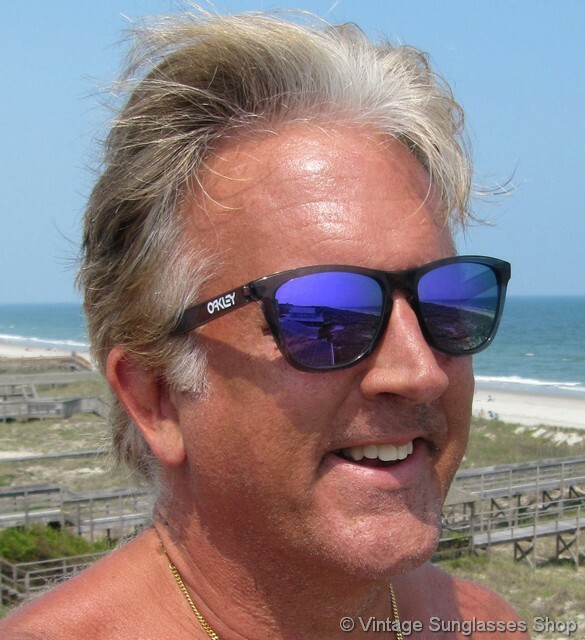 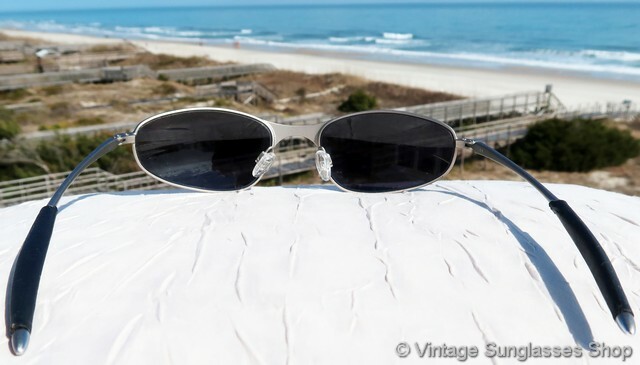 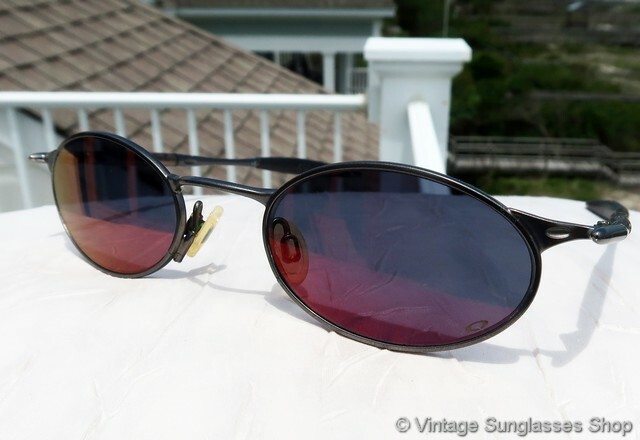 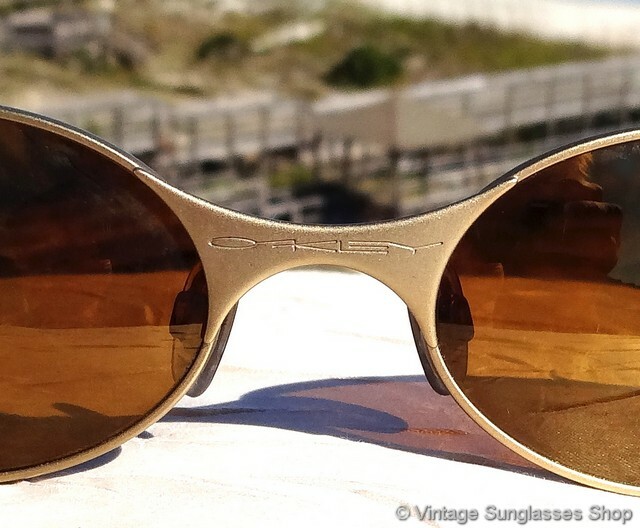 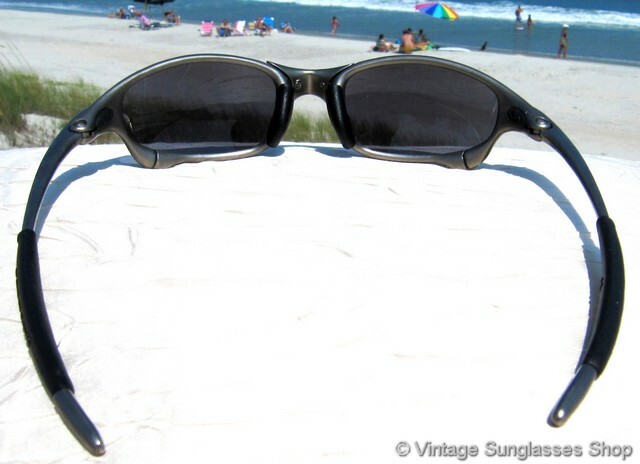 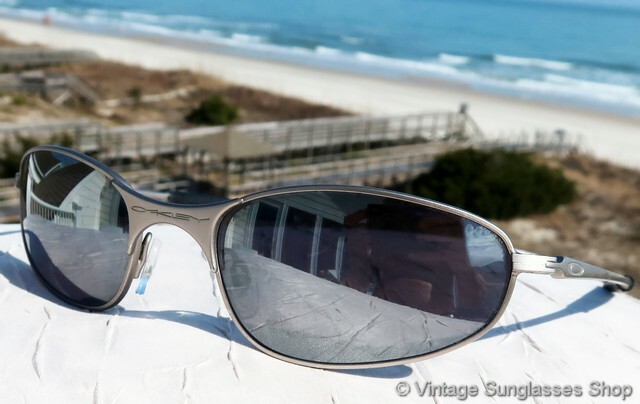 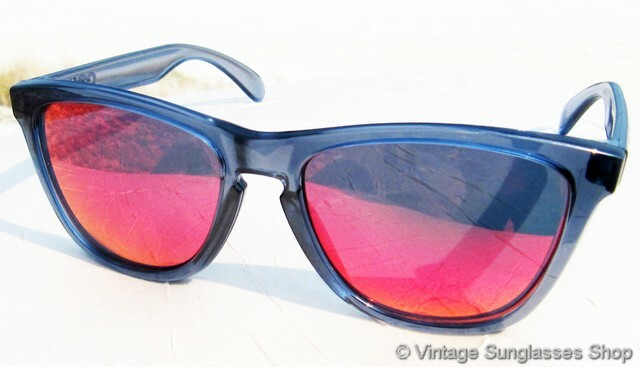 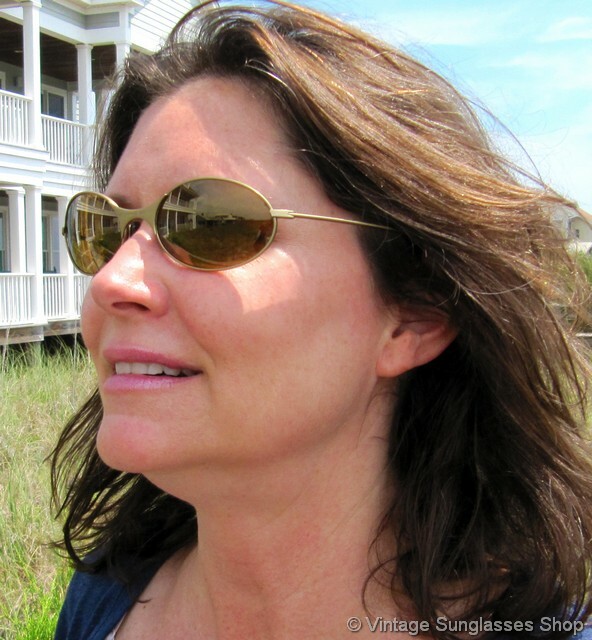 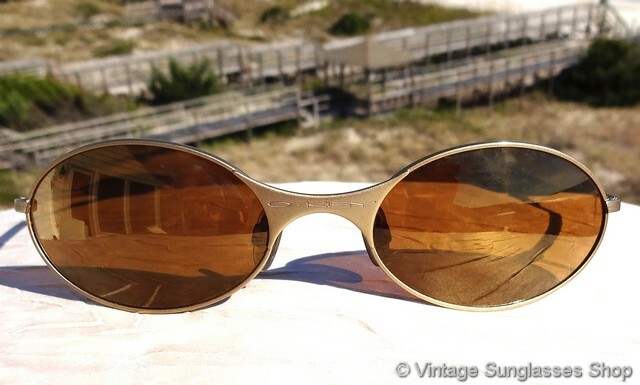 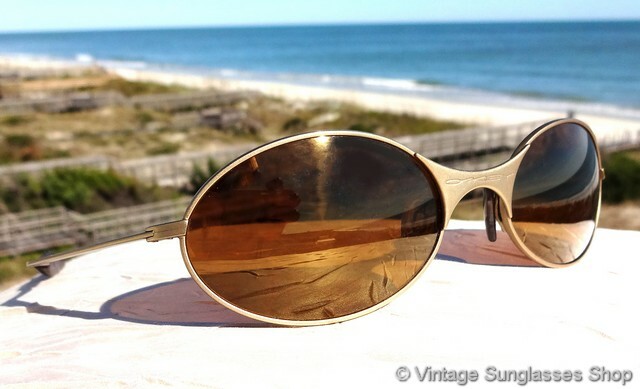 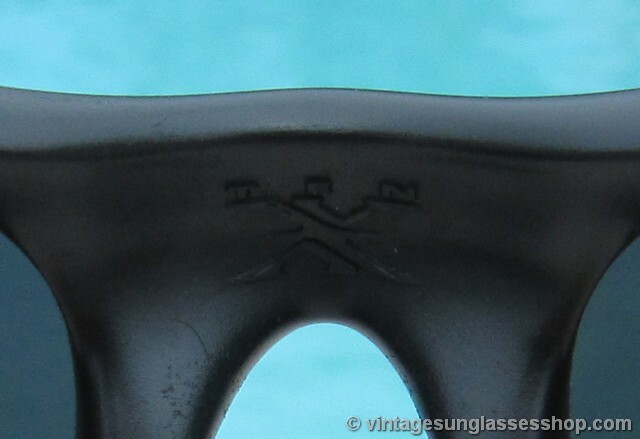 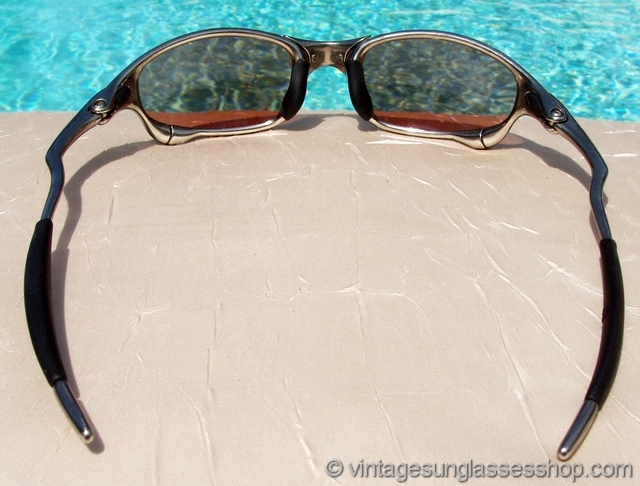 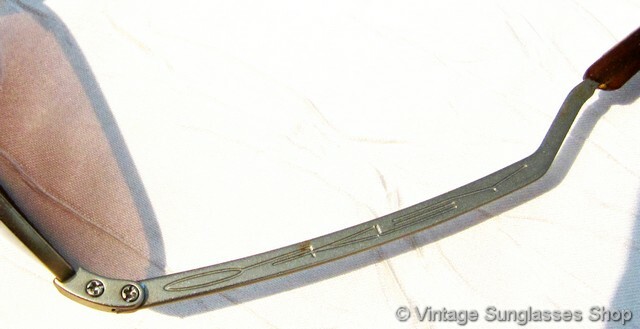 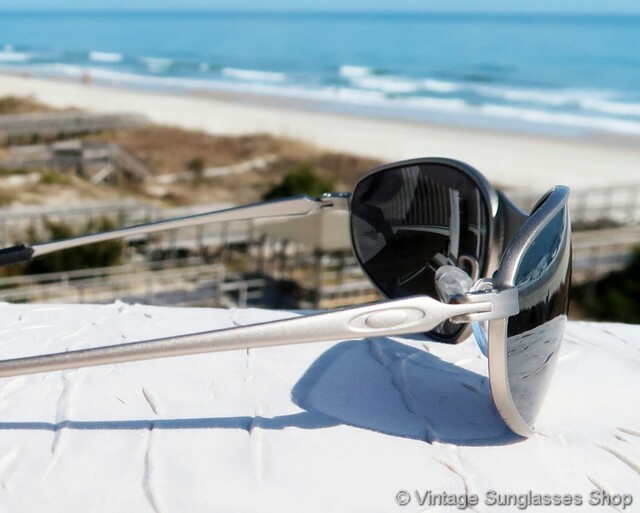 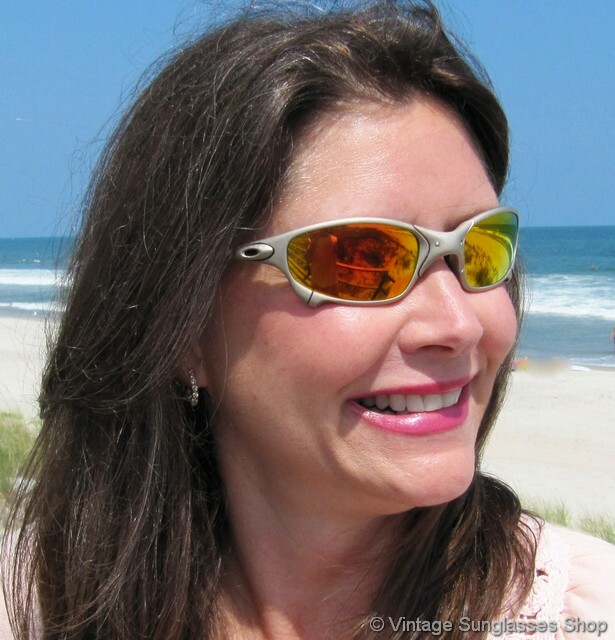 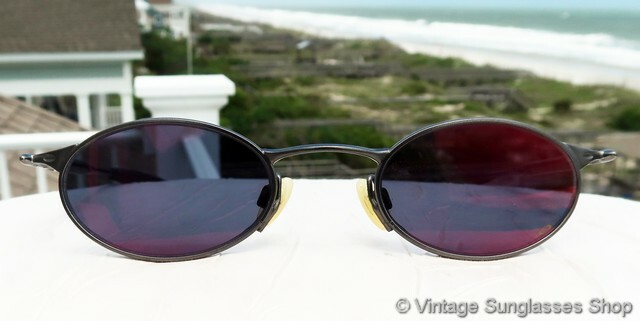 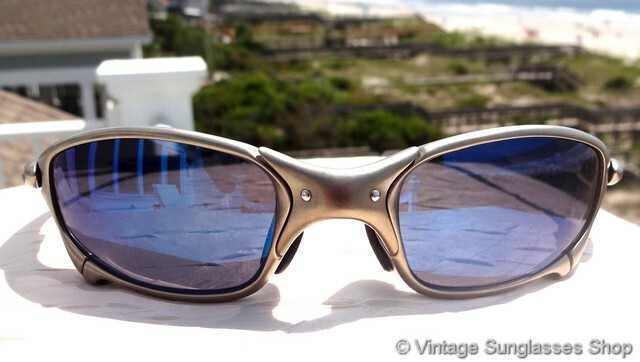 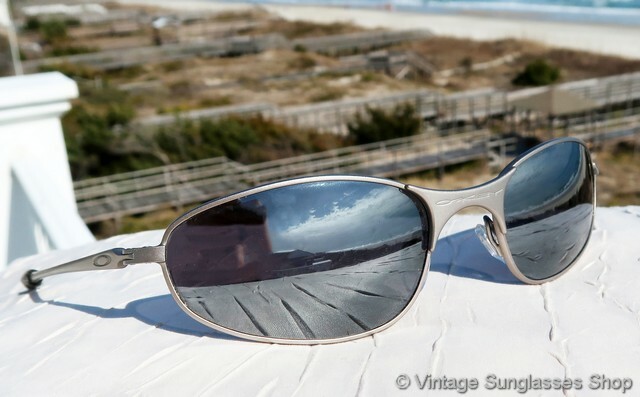 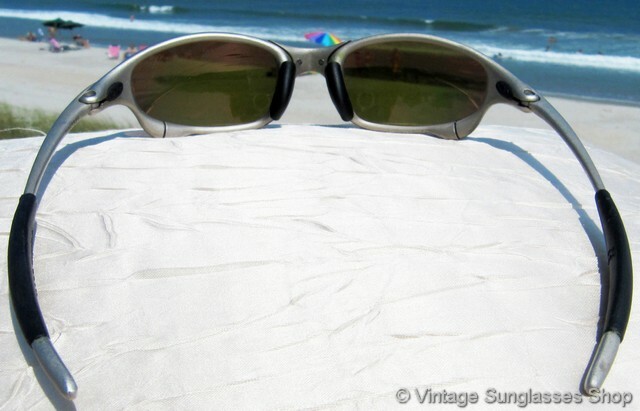 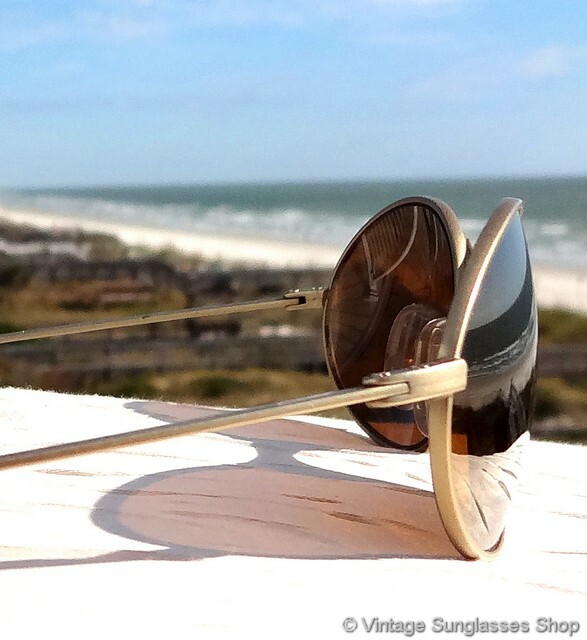 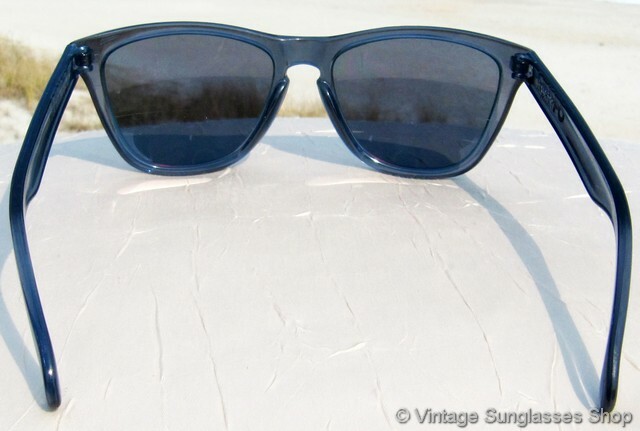 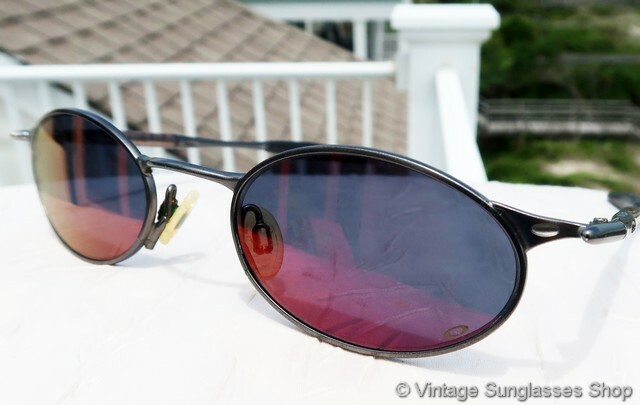 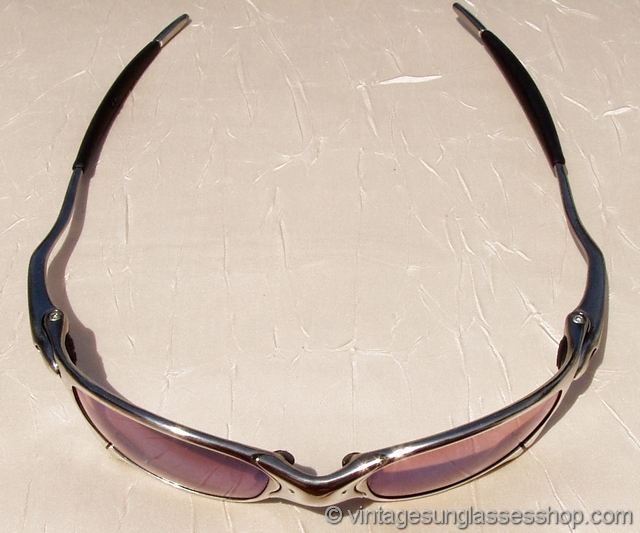 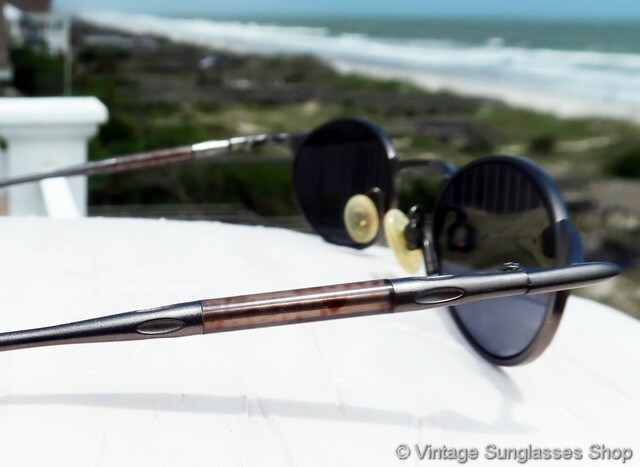 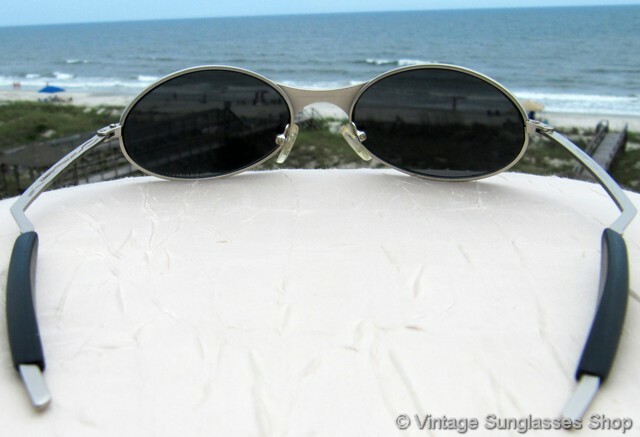 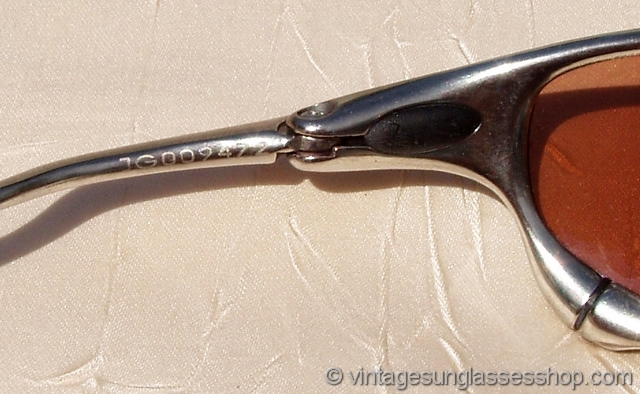 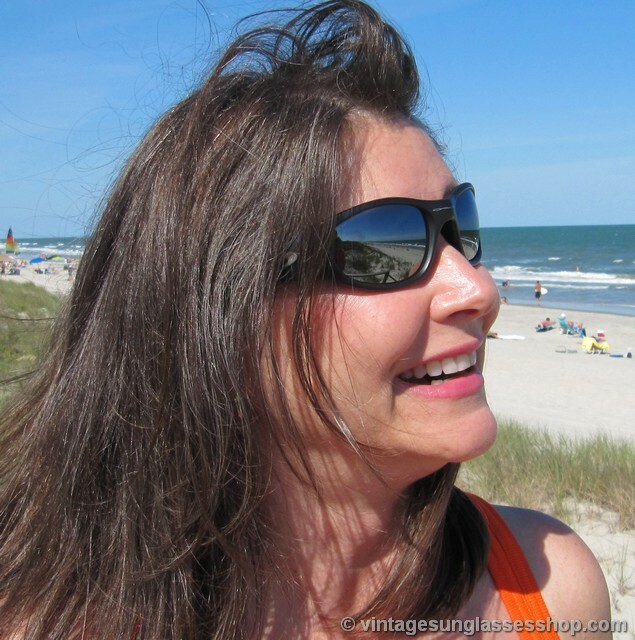 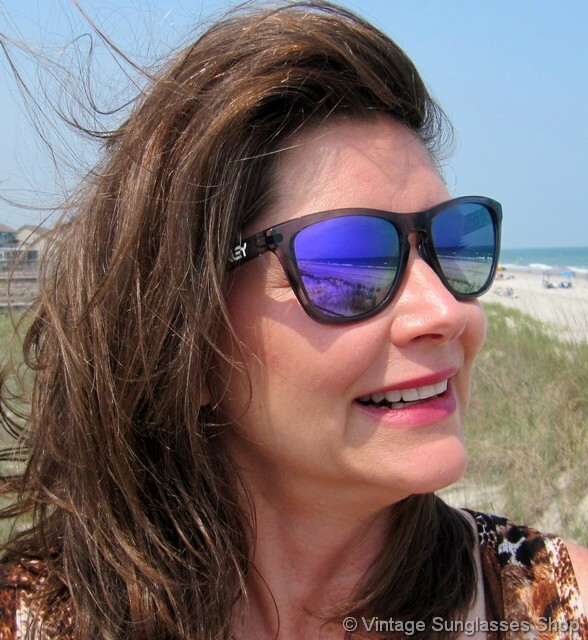 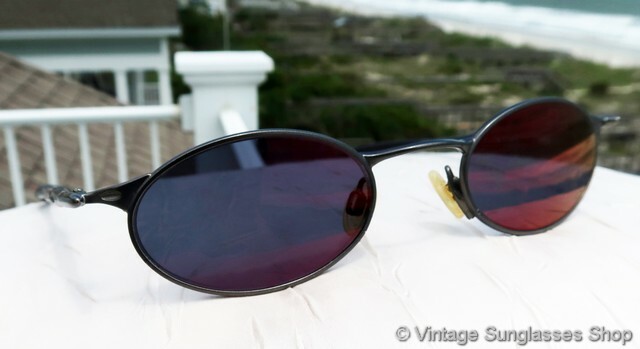 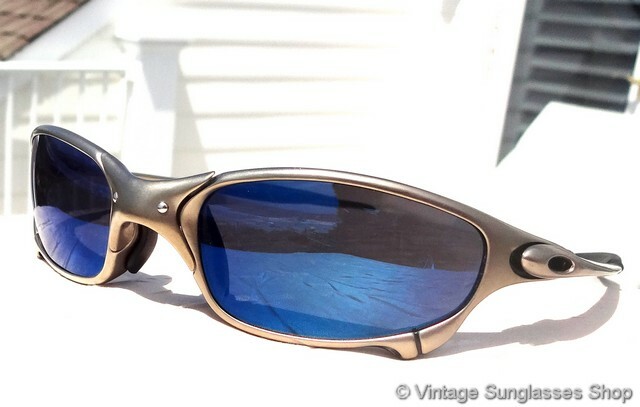 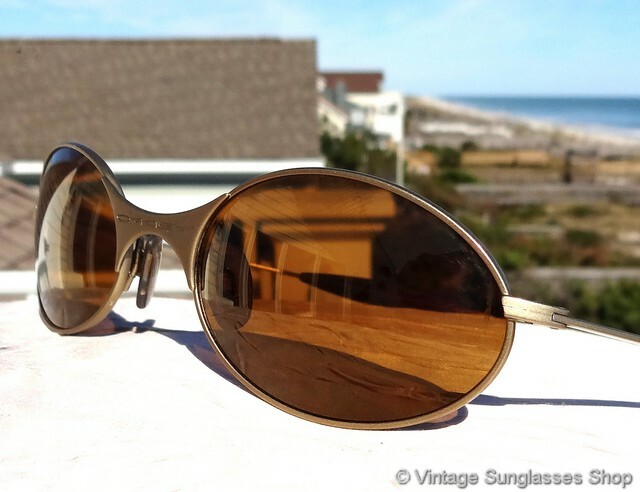 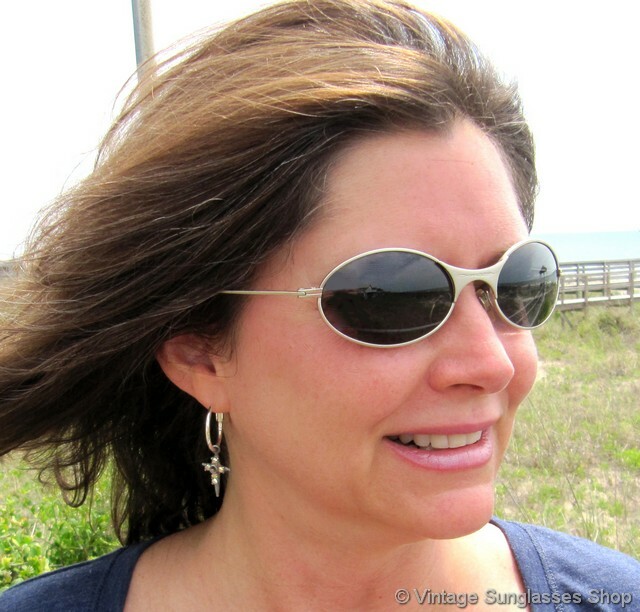 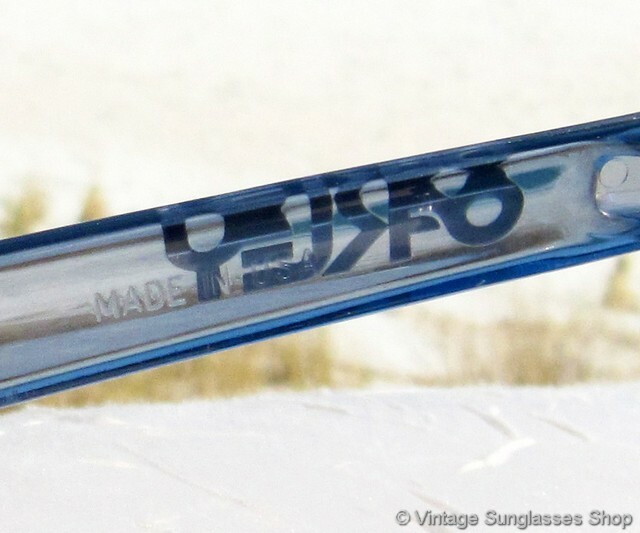 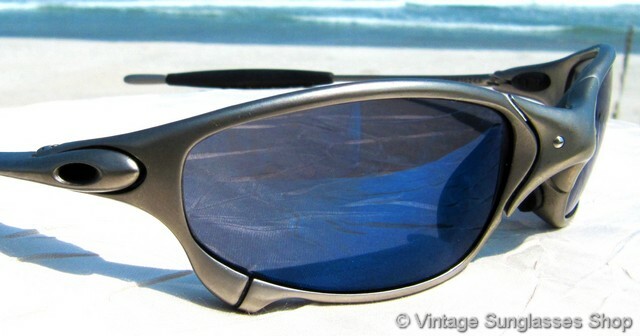 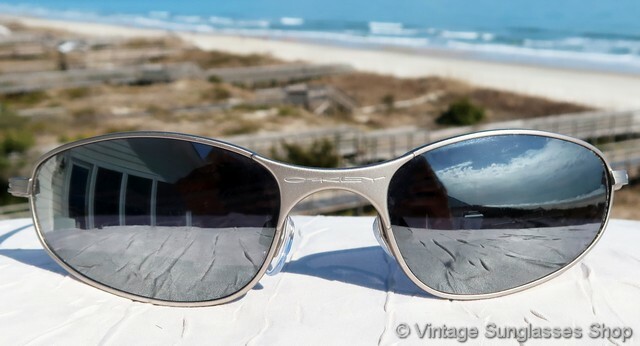 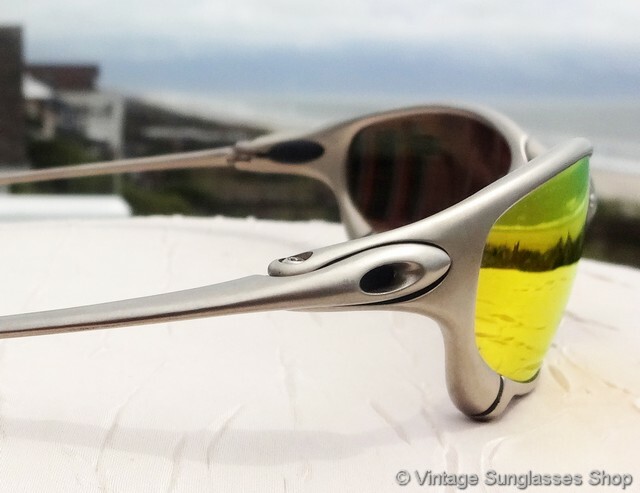 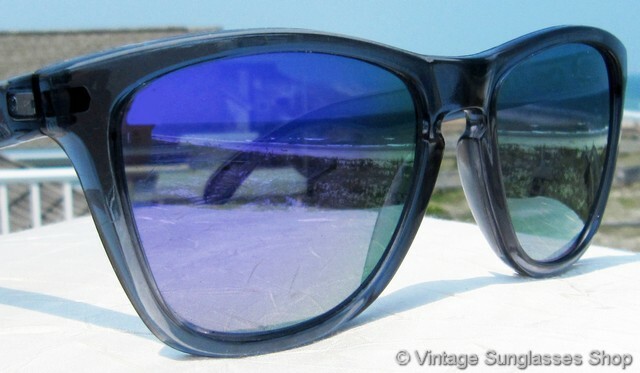 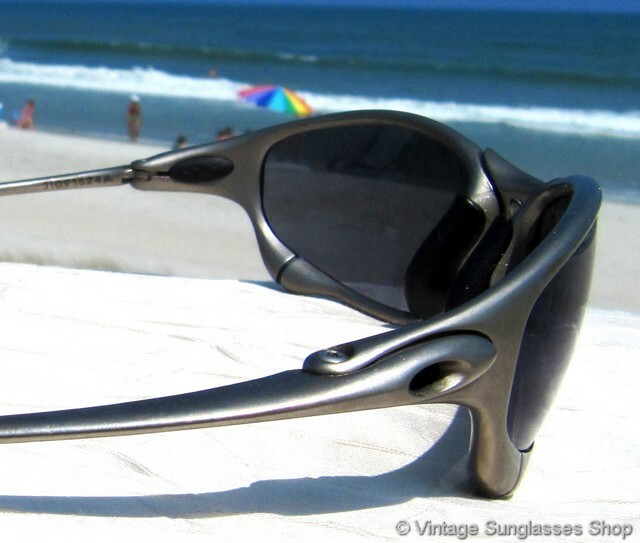 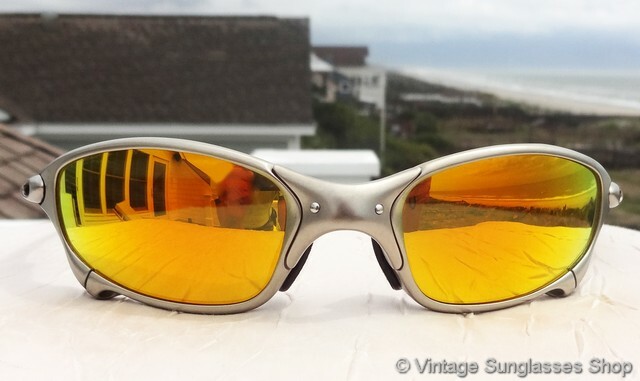 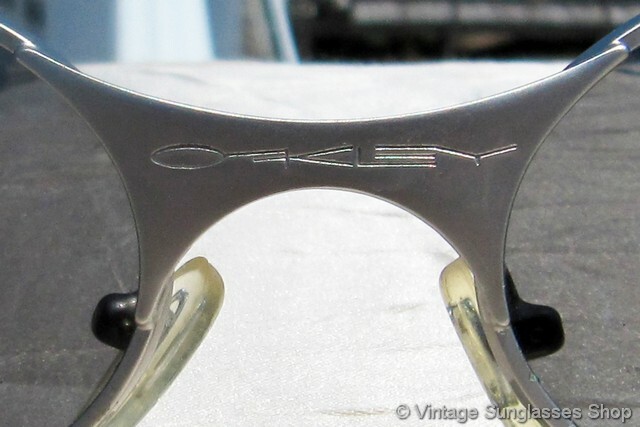 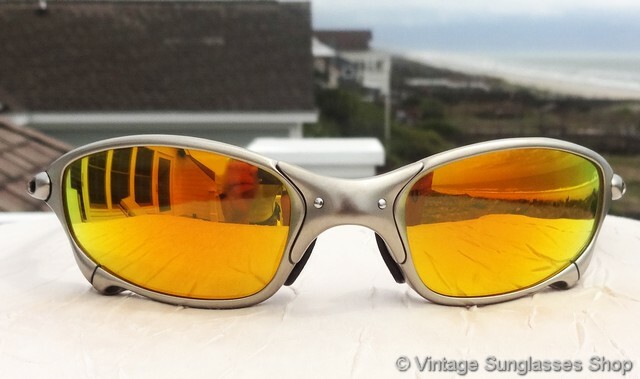 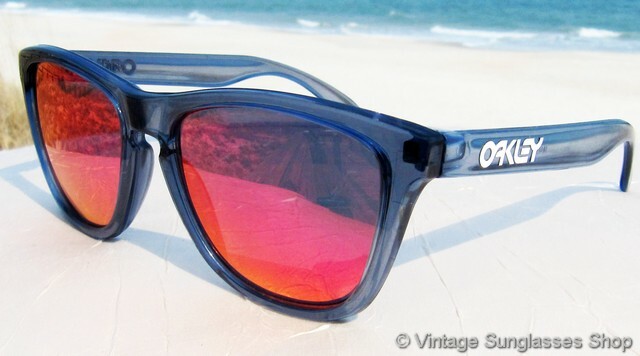 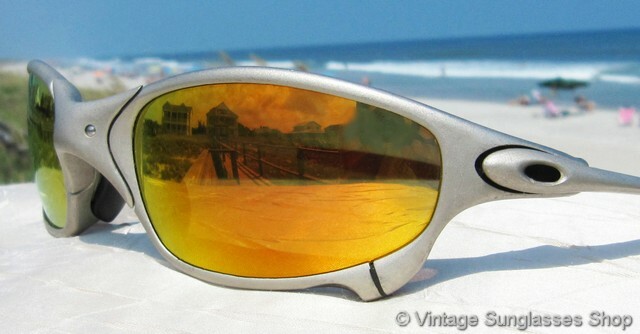 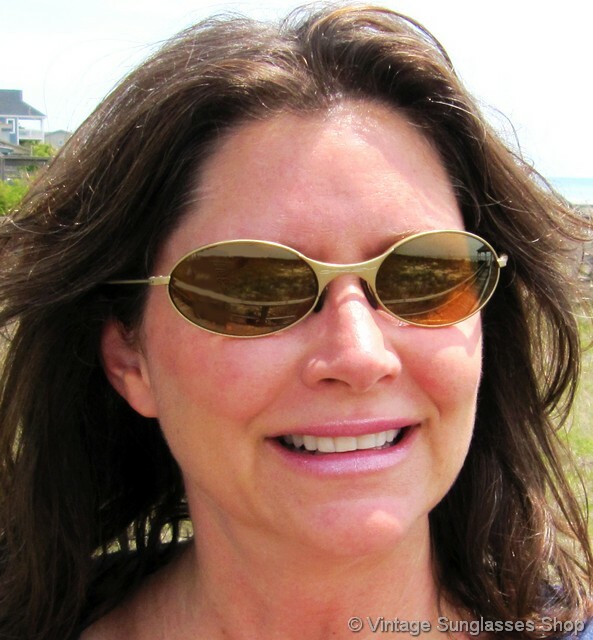 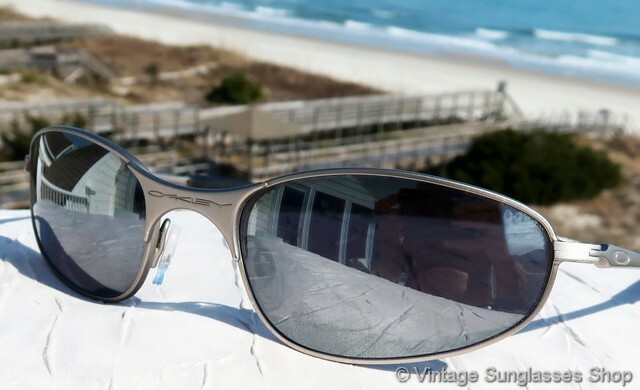 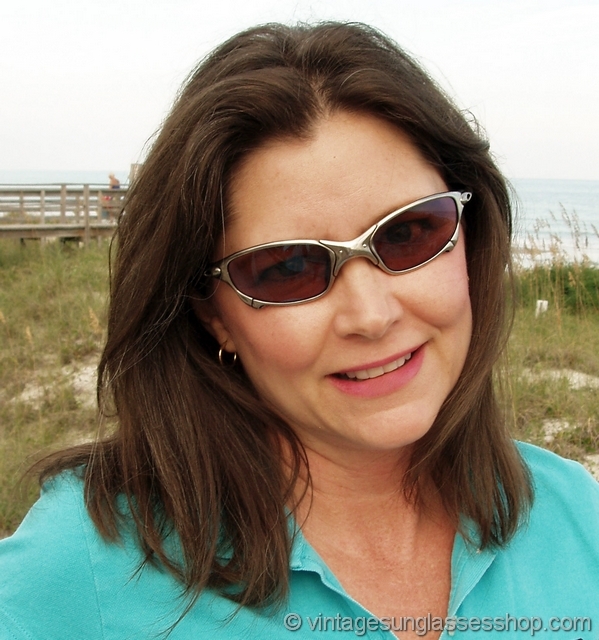 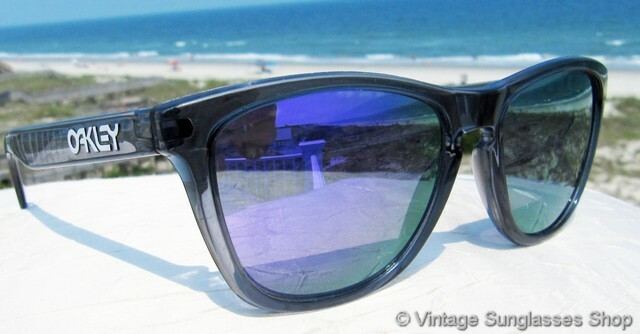 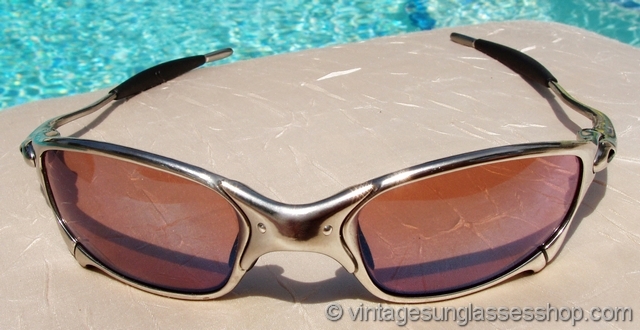 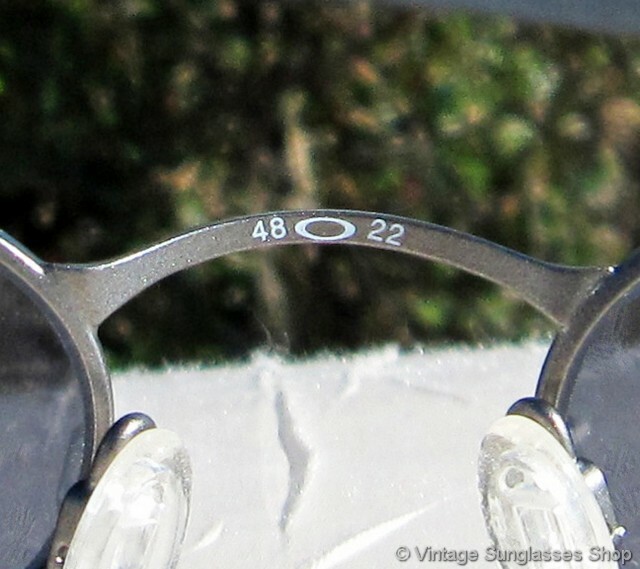 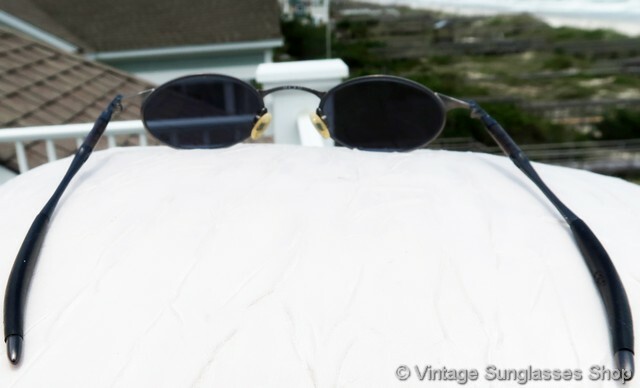 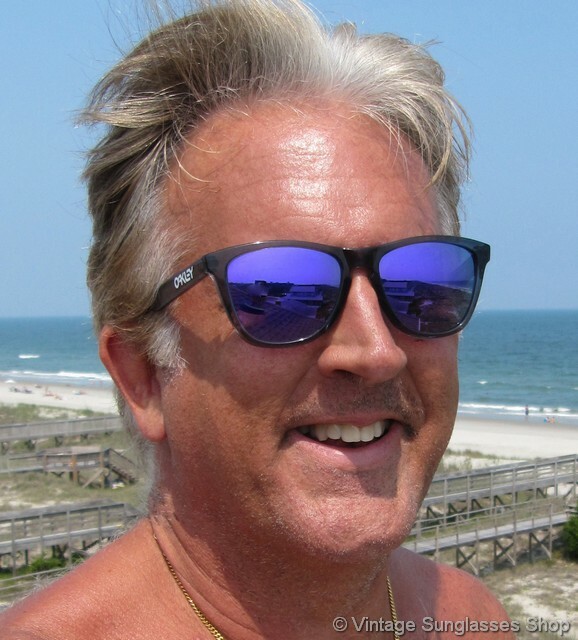 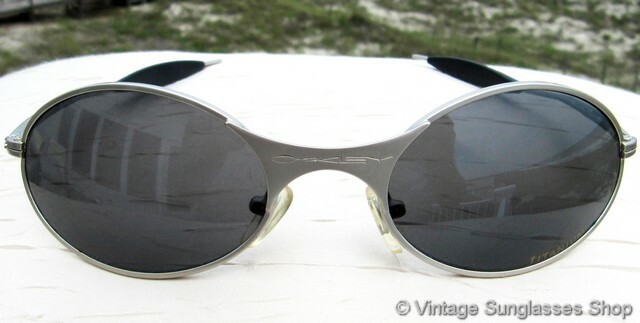 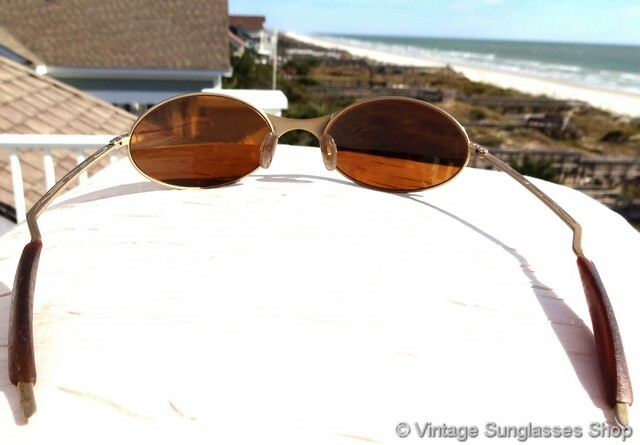 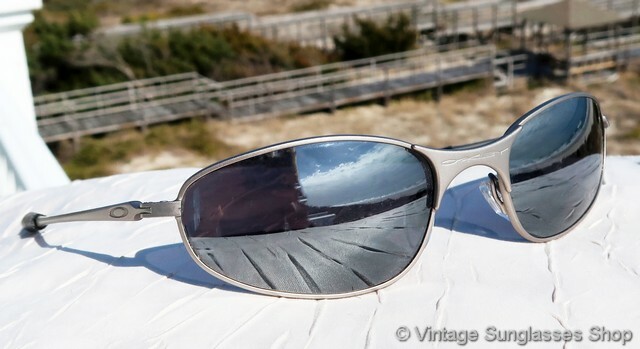 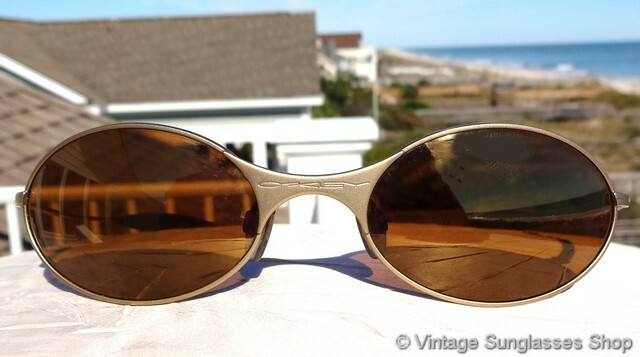 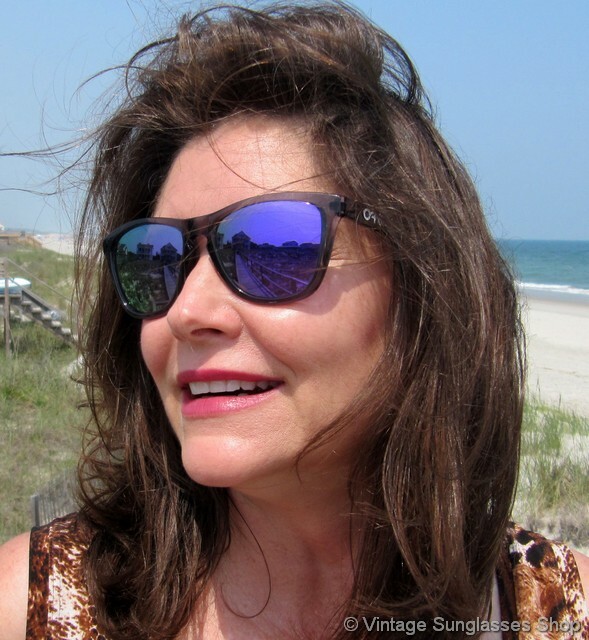 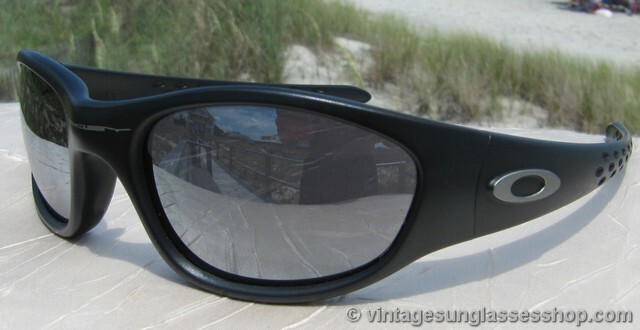 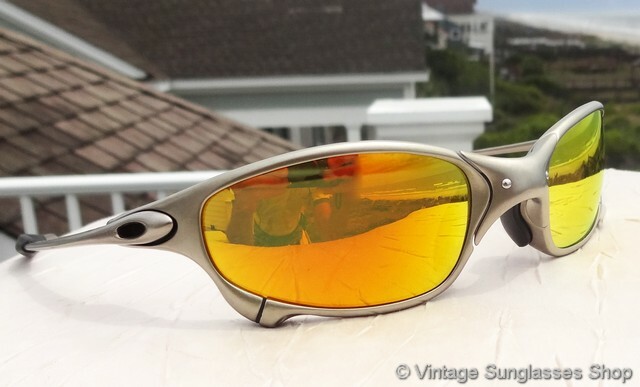 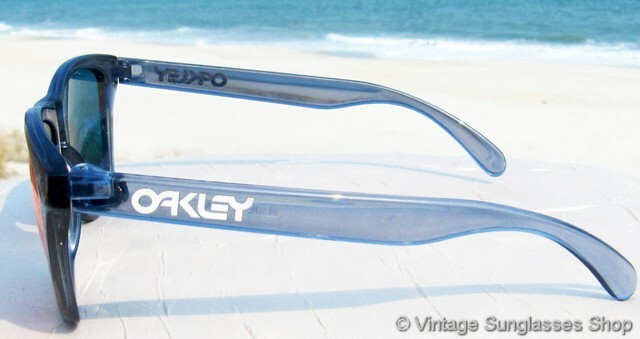 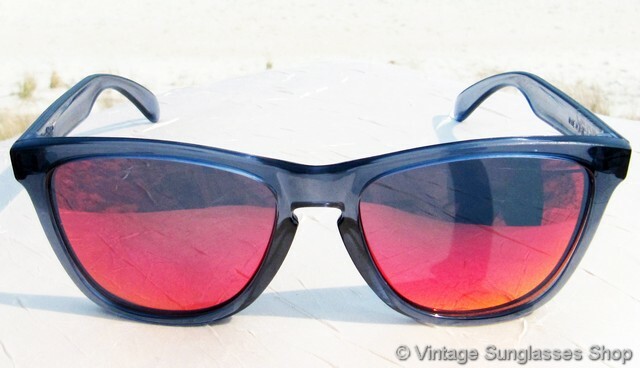 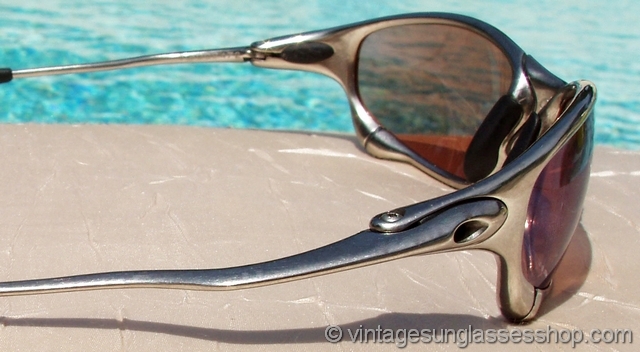 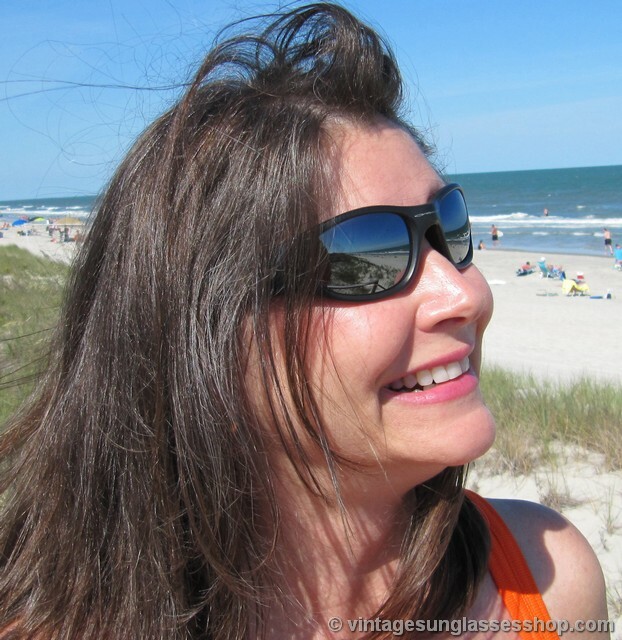 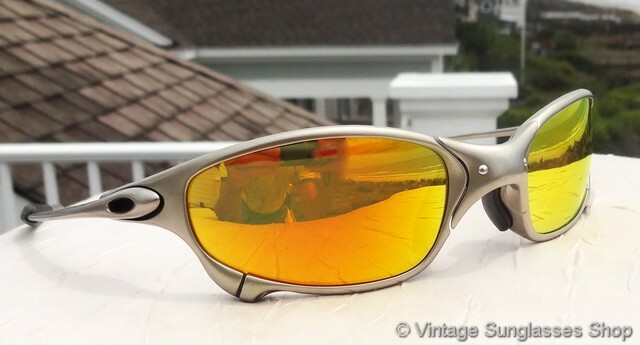 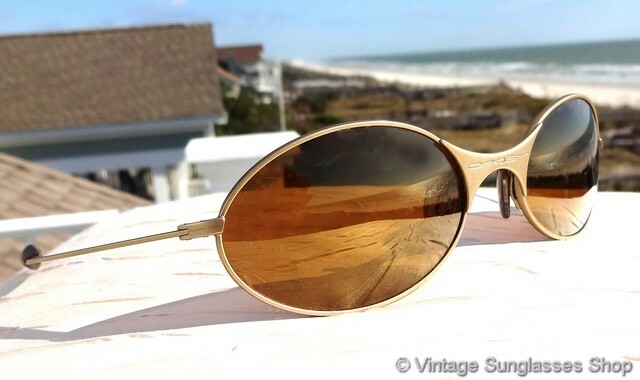 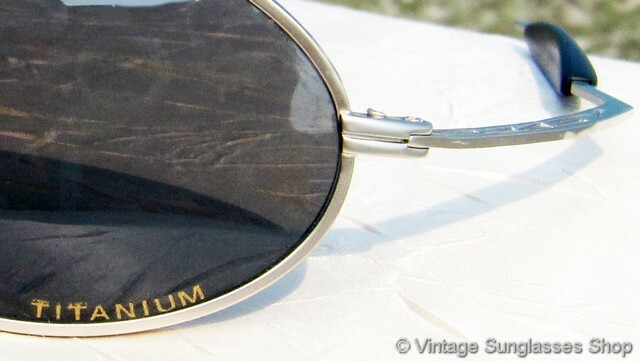 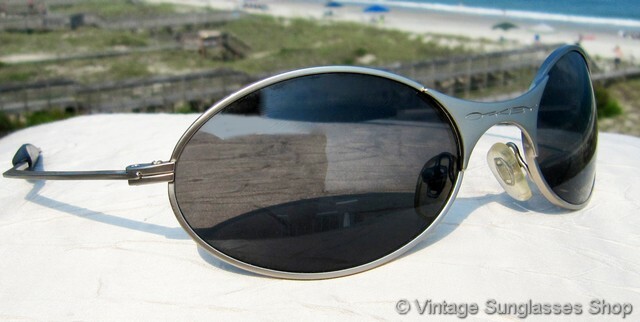 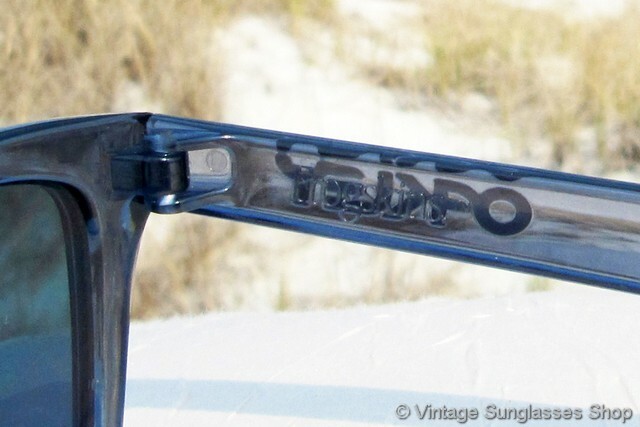 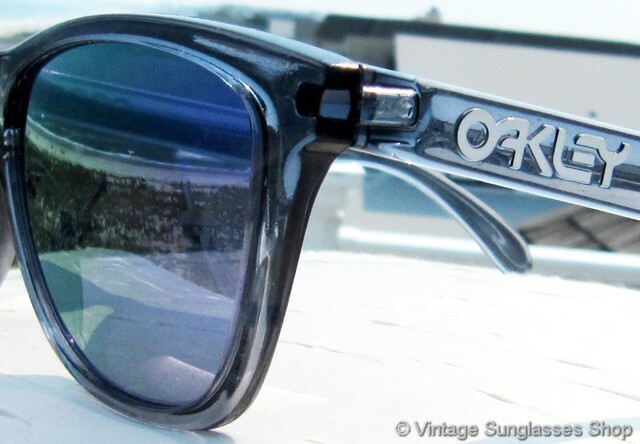 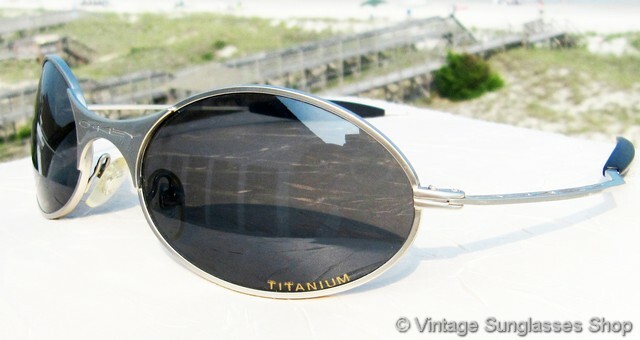 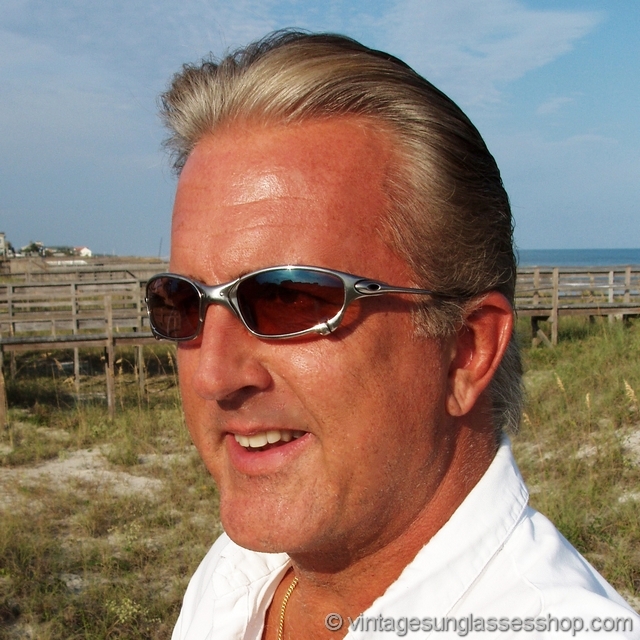 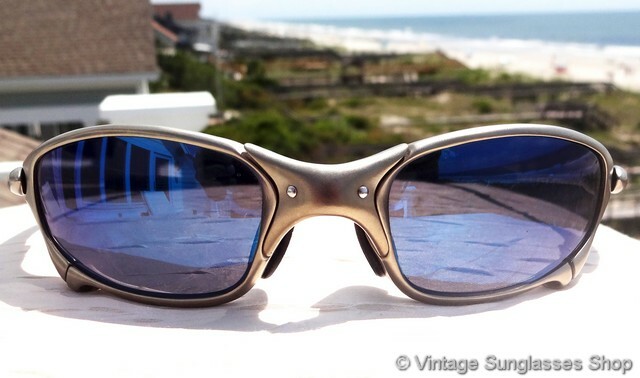 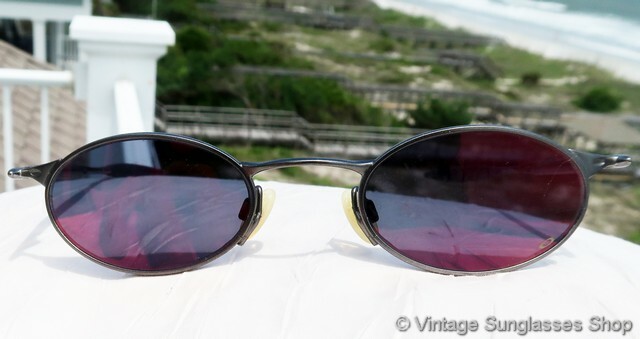 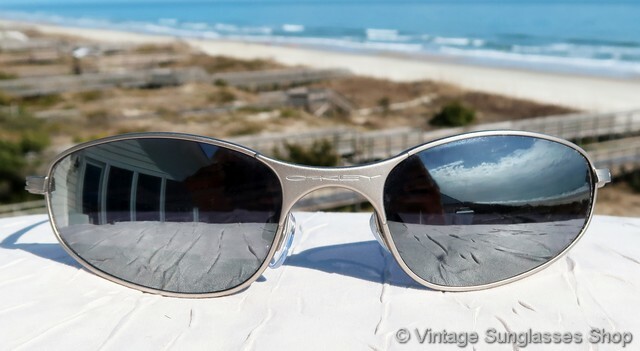 See all of our vintage Oakley sunglasses on one page in our Oakley sunglasses photo gallery and our most popular Oakley style searches.